Cruise the deep-cut fjords along the fabled Norwegian coast. 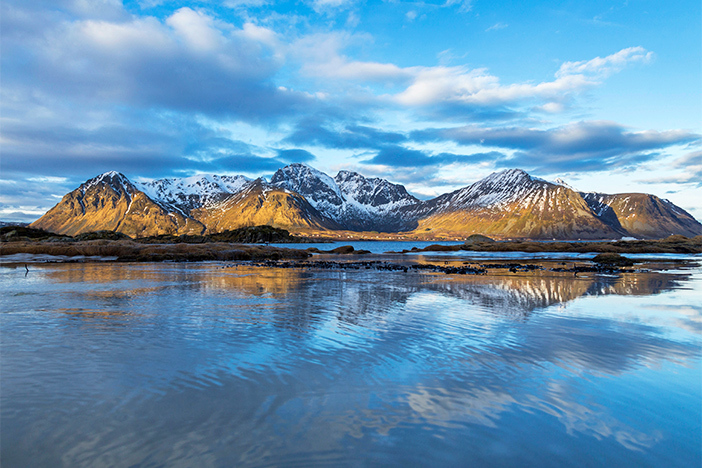 Sail across the Arctic Circle to the northernmost reaches of Scandinavia where the midnight sun bathes the spectacular coastline in light 24 hours a day. Then follow the path of Vikings from Nordic splendor to Scottish wonder. Be sure to check out the available dates and prices for this cruise.